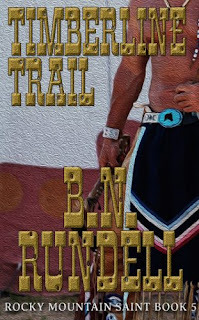 Born into a ranching/rodeo family, Bob Rundell is the youngest of seven boys. 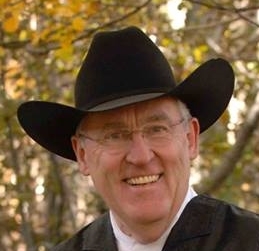 After careers in business, insurance, and 30 years as a Baptist pastor, Bob retired to pursue his dream of writing. 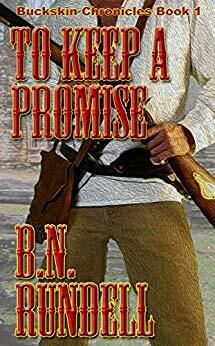 In his first year he wrote two #1 bestsellers, including the first title in his Buckskin Chronicles series, To Keep a Promise. He continued to add to the Buckskin Chronicles series, all of which became top ten bestsellers in their genre...His exciting stories are historical westerns set in the mid-19th century and are true to history in every detail. 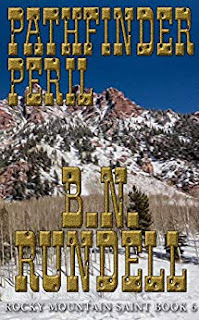 The latest book in his ongoing Rocky Mountain Saint series, Pathfinder Peril, has recently been released by Wolfpack Publishing. IF THE TEXAS RANGERS NAILED UP A WANTED POSTER FOR B.N. RUNDELL, WHAT INFORMATION WOULD IT CONTAIN? Avoid at all costs! This man is armed with a laptop and is constantly talking to himself and flipping through research material. Has been known to be antagonistic and idiosyncratic and downright cantankerous. At least until he's had his morning coffee! WHAT WAS THE BOOK YOU LOVED AS A CHILD? The Hardy Boys mysteries. Always stirred the imagination and brought intrigue, and the brothers reminded me of my own cadre of brothers. Although my brothers and I brought more mystery than solving them. 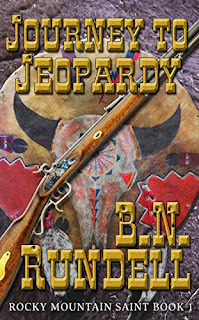 In an era when we had the freedom to go on our own horseback rides into the nearby mountains, packing our own rifles, and pemmican (Vienna sausages in a can) and hardtack and biscuits (PBJ sandwiches) to search out the renegade Indians or outlaws, (Jackrabbits and coyotes). WHAT BOOKS WOULD YOU READ TO YOUR KIDS OR GRANDKIDS? The great stories of the Bible can't be beat for preparing youngsters for real life and giving them real answers and guidance. And some classics, David Copperfield, A Christmas Carol, and The Count of Monte Cristo. And of course, any of my own books! WAS THERE A BOOK THAT MADE YOU WANT TO BE A WRITER? Not so much a book, but probably the many books of Louis L’Amour. The believable characters and story lines allowed me to project myself into the stories and become one with the characters and gave me the desire to allow others to enjoy the same experience. To take someone by the handle of their imagination and transport them in your time machine and walk with them or ride with them through the pages of history and across the magnificent vistas of our country is better than having a magic carpet registered with Uber. Count of Monte Cristo because it is the classic tale of educating one's self, overcoming unbelievable obstacles, and becoming all you were meant to be. I'm still wading through A Tale of Two Cities. I do most of my reading at night before going to sleep, and this one puts me to sleep too quickly. WHAT BOOK TO MOVIE ADAPTATION HAVE YOU ENJOYED? Hondo. Typical Lamour where good triumphs over evil, but has to fight to do it. His interplay with the Apache shows mutual respect between enemies and adversaries. The Ohio River Trilogy by Zane Grey. It is set in the late 1700's, a time when our nation was experiencing growing pains and people were showing unbelievable strength and ability to overcome. A time largely ignored by movie makers, (except for Last of the Mohicans), but this series is historically accurate and deals with some of the author's ancestors. WHAT IMAGINARY PLACE WOULD YOU LIKE TO VISIT? None, too busy visiting real places. Historical fiction, western. Because of its realism and character-building experiences. All of Louis L’Amour's. I’ve probably read them all at least twice, most three times. 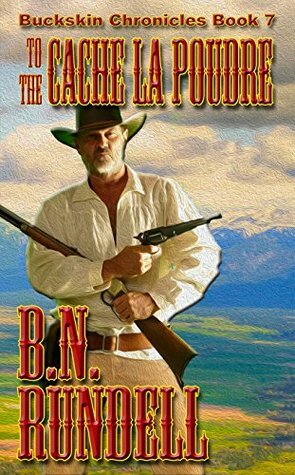 His stories are believable and true to life and shows both the good and the bad, without puking vulgarity, blasphemy, and stupidity all over the reader. WHAT FICTIONAL CHARACTER(S) WOULD YOU LIKE TO HAVE AS A FRIEND? I have all the protagonists of my books as friends already. I know them better than most of my acquaintances and even family members. But, every now and then I do have to come back to reality. WHAT NOVEL MADE YOU LAUGH, AND WHAT NOVEL MADE YOU CRY? I can find humor in just about any story and when you really get involved in the story, you will be touched with the pathos. As far as any one in particular, perhaps my own novel, Ride Lonesome, that tells the true story of my own grandfather and his courtship of his soon-to-become wife over the objections of her father and the dead body of her brother. WHAT SPARKED THE STORY IDEA BEHIND PATHFINDER PERIL? I live in the area where the story begins. The actual event of Fremont's tragic fourth expedition came through this area and over country I've walked. I live in Fremont county, and our 4H park is call Pathfinder Park. Since his route took him within yards of the fictional cabin of Tate Saint, and Tate was a compatriot of the guides used by Fremont, it seemed like a good fit. HOW DID YOUR ROCKY MOUNTAIN SAINT SERIES ORIGINATE? I have always enjoyed Robin Hood type of stories, and when so many mountain men are portrayed as mean or lawless men, I believed it was time to have a good guy who walked the mountains in those times. 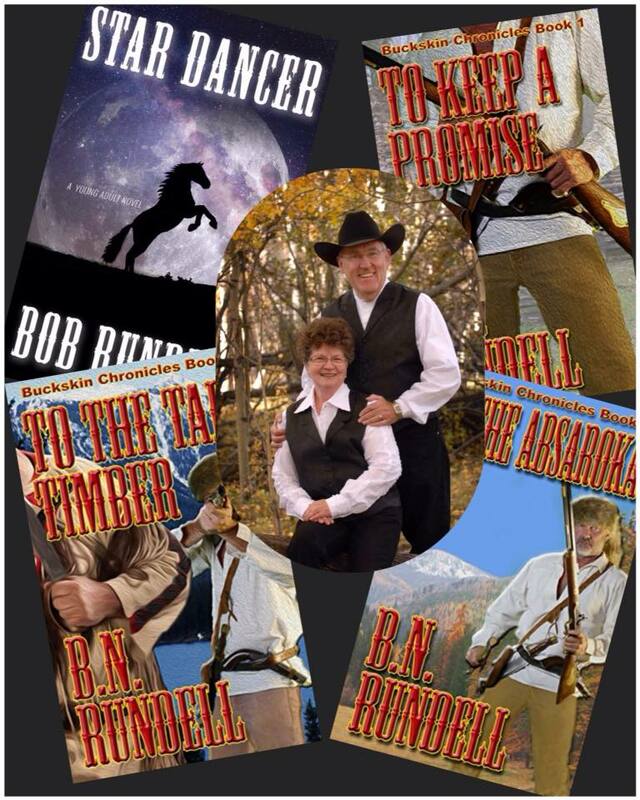 WHAT WOULD YOU LIKE READERS TO KNOW ABOUT YOUR BUCKSKIN CHRONICLES SERIES? 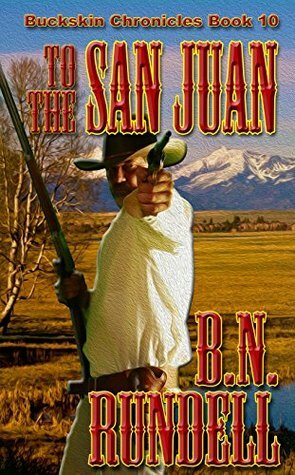 As with all my stories, this series is historically and geographically accurate and tell of the times that our country experienced during those early growth and exploration years. While the family (several succeeding generations) is fictional, the types of characters and events are true to history and life. Anyone who delves into the stories, will learn a lot about the history of our nation. If the man of the mountains, Tate Saint, had a fault, it was that he had a hard time saying no whenever someone needed his help. But now he has a family and the wilderness makes many demands on anyone that tries to master the mountains. 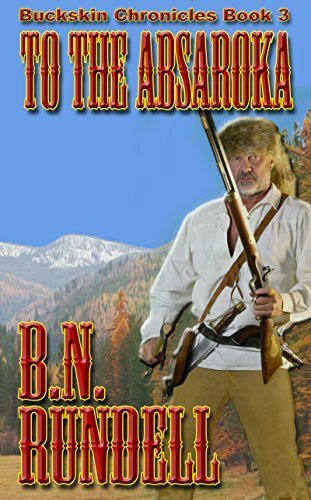 And if a redheaded Irish wife, a curios toddler for a son, a wolf for a hunting companion and a bear cub for a playmate for his son wasn't enough, a legendary mountain man, Old Bill Williams, recruits him to help John C. Fremont on his expedition to find a route through the Sangre de Cristo and San Juan mountains in the middle of winter. 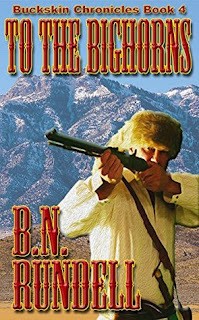 When the elder statesman of the mountains, Williams, tells Fremont it can't be done, the Pathfinder expects Tate Saint to get them through...But this venture soon becomes one of the most treacherous and deadly expeditions of the times. Facing the full onslaught of a Rocky Mountain winter with twenty-foot snowdrifts, below zero temperatures, and every other hazard that could be brought to bear, the challenges must be met and conquered. But the things that must be done and the sacrifices that must be made become more than anyone expected or wants to remember. One of the greatest challenges of the young mountain man's life must be met and conquered, or he and many others will die. When a young man with big dreams suddenly becomes an orphan, he is faced with big decisions...Holding to the dream of living in the Rocky Mountains that Tatum shared with his father, he begins his journey—a journey that takes him through the lands of the Osage and Kiowa and ultimately to the land of the Comanche...A solitary man by nature, he travels by night and sees a different land than the many pilgrims and settlers of the 1840's. Although driven by a desire to be away from people and their scheming ways, he is repeatedly drawn into the lives and problems of others. Although the ways of the woods are not new to him, he was a novice in his dealings with people, but his upbringing made him interject himself into the problems of others. 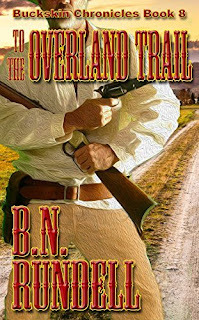 The passing wagon train had more than its share of conflicts, but when Tatum spotted an impending attack by Comanche his conscience demanded he warn them...Then when that involvement includes a smallpox plague and a defenseless tribe of Comanche, Tatum is faced with a decision to try to free the captive white women or warn the warring Comanche...His journey to the mountains has become a journey to jeopardy. The power of a promise made and a promise kept is realized when Jeremiah Thompsett comes of age and accepts the responsibility of fulfilling his mentor's long-held dream. 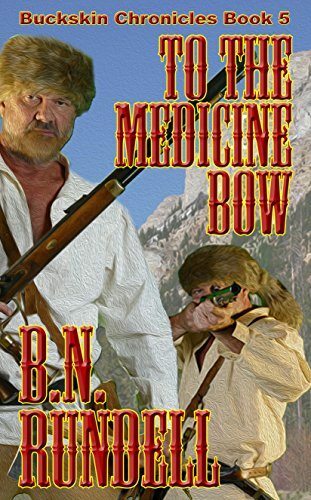 Raised by an escaped slave in the midst of the Arapaho nation in the Wind River mountains, he now must track down the slave catchers that killed his adopted father and stole their cache. The Vengeance Quest takes him and his companions through the mountains and across the nation to fulfill the promise of freeing the family of slaves held dear to his mentor and adopted father. Accompanied by Broken Shield and Laughing Waters, his Arapaho friend and his sister, the trek through the mountains and to Fort Union is fraught with hazard and ambush. 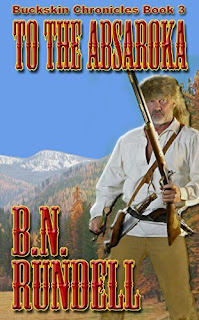 It is here he is joined by Scratch, the crusty mountain man who joins him on his journey downriver and across country to find Ezekiel's family and to seek to free them. I'm always happy to read interviews with writers and this one was very interesting and the questions were great. I definitely intend to add one of B.N. Rundell's books to my TBR list. It is always a pleasure to find books that strive to stick close to the 'real' history of our country. Thanks for posting.